In the Budget speech for 2019, Finance Minister Prof. Edward Scicluna announced various fiscal, social and environmentally friendly incentives, including the implementation of Anti-Avoidance Tax measures and emphasis on advancements in its technology strategies. Even though the Government has extended and issued new incentives to alleviate poverty and social injustice, the prime fiscal objective remains that to operate within a fiscal surplus. In order to maintain and improve a greener economy various environmental, water and waste management policies will be implemented in 2019. Other measures include Anti-money Laundering policies, Digital Innovation and Disruptive Technology initiatives to harness new niches in the fintech sector. For further information about the principal measures to be introduced kindly click here. In the Budget speech for 2018, Finance Minister Prof. Edward Scicluna announced various fiscal measures and social and environmentally friendly incentives. These include an extension of the MicroInvest Tax Credit (both in terms of the quantum of the credit awarded and the eligibility of such scheme), tax credits for students following certain post-graduate courses, fiscal benefits to pensioners and other measures addressed to second-time property owners. These were complemented by other non-fiscal measures such as grants for environment friendly modes of transport and various initiatives related to the Blockchain technology. For further information about the principal measures to be introduced kindly click here. Finance Minister Prof. Edward Scicluna announced various measures in the Budget Speech for 2017. These include fiscal amendments targeted to enhance investment in shares listed in the Malta Stock Exchange (“MSE“), reduction in stamp duty on transfers of businesses from parents to their children, and other incentives aimed to encourage restoration of properties in an Urban Conservation Area (“UCA“). Other social measures include exemptions on pension income. For further information about the principal measures to be introduced kindly click here. 30 June 2016 – deadline for filing of personal tax returns, tax returns for part-time income, tax forms for the flat tax rate of 15% on rental income. 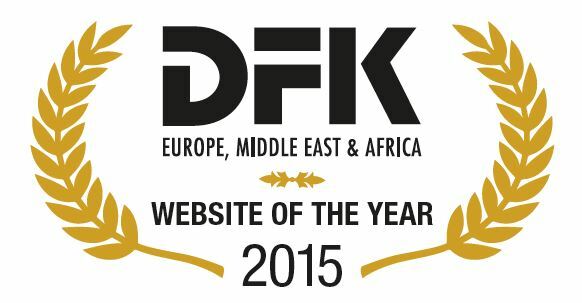 DFK Malta participated at the DFK International Conference in Stockholm, Sweden, held between 14 and 17 July 2015. The Conference offered excellent opportunities for DFK member firms around the globe to network and update each other on tax issues and other relevant technical subjects. Our firm also attended the International Tax Seminar which was held during the Conference on 14 July, during which David Farrugia also participated in the discussions by giving three presentations. These presentations provided an insight into the Maltese Patent Box, the Luxembourg Patent Box and the Maltese tax system in general.